I have been working on it for the last few months, but didn't know if I could tell anyone about it. But, since I just signed the contract that says they are going to publish something I write... or take a pound of my flesh... I figure I can let the secret out of the bag. Several months ago Cedar Fort Publishing contacted me to see if I'd be interested in writing a book about Women in the New Testament. Even though I was a bit overwhelmed at the time (still am) I said I would. You see, for several years I've been getting inspiration for a book on women in the scriptures. Just a few months before they contacted me I'd even started to keep a detailed list in my scripture journal of all the women in the New Testament. I didn't know why, except that it seemed like a good idea. So when they asked me to write a book I knew that I shouldn't pass up the opportunity. I am hoping this book will be a beautiful glimpse into the lives of the women of the New Testament. I want people to realize that these were REAL women, with real lives and real problems; there isn't a single problem modern women face that these women didn't also wrestle with. Okay, maybe they didn't have to worry about their cell phones falling out of their pocket into the toilet and other such technology related issues. But the big ones-- heartache, disappointment, marriage, children, divorce, abandonment, health problems, family feuds, birth, death, covenants, politics, priesthood, apostasy, old age, war-- they knew about those. I hate it that so many of these women have been forgotten. I am hoping that I can intrigue people and inspire them to open up their scriptures and learn more about God's amazing daughters. It is also going to have amazing art work. 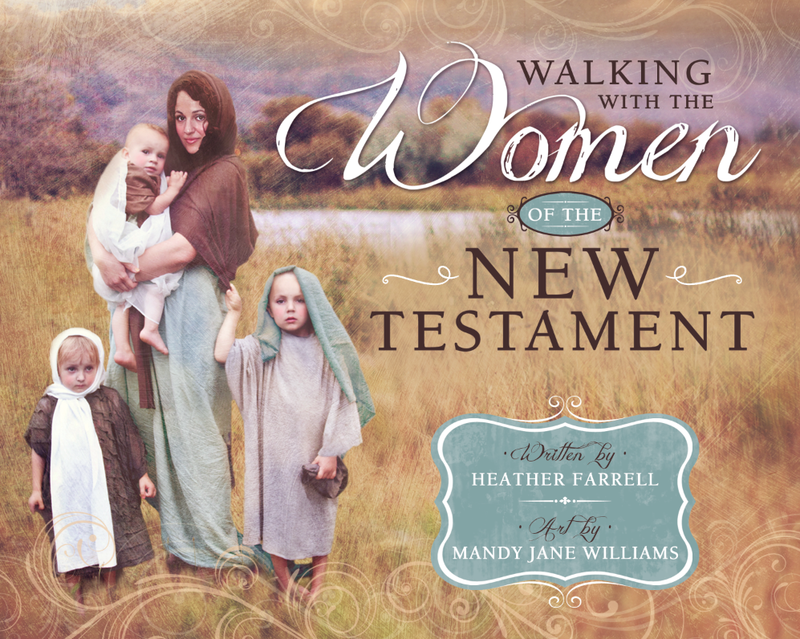 My talented friend Mandy Williams has been working on taking photographs of over a dozen women from the New Testament. She has been sending me her rough drafts and they are just amazing. It is going to be so awesome to see all these women all put together in a book. The photographs just make their stories come alive. I am really excited about it. Though, we might be a bit crazy undertaking this together seeing as we both just had babies and we both have four children under the age of seven! Oh, and are both homeschooling. Maybe we are crazy (somedays it sure feels like it) but it is also miraculously coming together. Which sort of feels like a miracle. I think these women want their stories told. I already have several of the chapters written but I would love some help from you. 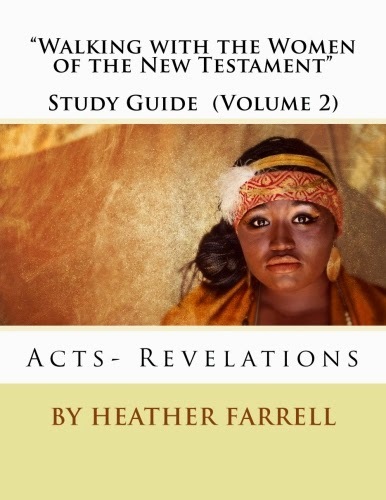 What type of things would be valuable to you in a book about New Testament women? Which women would you like to see me write about (and see artwork of)? What type of information has been the most helpful for you on my blog, history, word origins, personal stories, gospel applications, etc? How can I get men to read it? I'd love some feedback. Some of the women I am including in the book I have already written about on my blog (which makes it easier) but many of them I haven't. I still have a lot of work to do! Any suggestions would be most appreciated. So, if it is quiet around here the next few months just know I'm still working... and you'll be able to read it, beautifuily laid out with amazing art work, this time next year! Either that or I'll be one pound of flesh lighter. This is awesome, Heather. I'm so happy for you. I don't have any specific suggestions; just write about the ones that you feel most drawn to. Chances are, others will appreciate the connection to them. Congratulations! I'm so excited to read it and recommend it to my friends :) Hope you get to keep your pound of flesh and we get to see the fruits of your labors. I don't have any particular advice, just wanted to wish you well on this adventure! I'm so excited for this! When my husband was teaching seminary a few years ago (Old Testament) I would help him plan his lessons occasionally. We often used your blog as a resource for women! I can't wait til you are all published and I can get my hands on a copy of the book! So, yes, please do write another. I think the subject matter is a wonderful subject that we could all learn more about. Yay! I am so glad it is helping you. I am finding myself wishing I had co- writers for this book. Having people to work with on a book is much easier! Congratulations! I have no doubt you will do an amazing job! Oh this is brilliant! My one complaint is that I probably won't be able to read it before I leave for a mission, but I guess this will be top of the list when I get home. That or I'll make my mom send it to me a chapter at a time in her letters. Maybe it can be something to look forward to! You need to let me know where you get called to so I can pray for you! 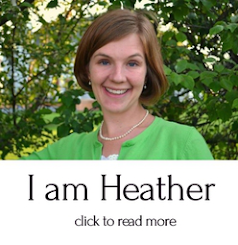 That is awesome, Heather! Way to go! SO AWESOME!!! Can't wait to read it. I want to know more about Phoebe. I love when you explain words or concepts that are not familiar to us in our day and age. Pictures of ANYONE would be awesome. I am super excited for you and for the BOOK! I second Phebe! She absolutely fascinates me! Wow, congratulations! I can't imagine writing a book with four little kids. I can't even stay on top of house work. YOu're amazing! I work for Cedar Fort and I'm the one who suggested you to your acquisitions editor a while ago. I love your blog and when I heard they were wanting someone to write this book, I hoped they would pick you! I'm excited to read it; I imagine you'll have a lot of the same content as your blog, but in gorgeous published form I can keep on my shelf. 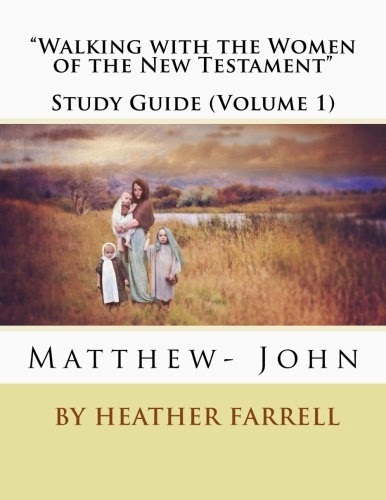 Will you cover all the women in the New Testament or just some? I think an index of topics would be helpful so people wanting to read about how these women dealt with birth, for example, would look up "birth" and find names and page numbers of women who have stuff about birth in their stories. Thanks Fo suggesting me Angela! I would love to write about all of them but I think there are way too many to put into this type of book. But I will include a study list at the end of the book with all of them listed. Heather, all I can say is . . . it's about time! I'm teasing, of course. I have been reading your blog for awhile, and have often searched your archives when I had a particular question. Many times I have wished you would write a book about this topic. I'm thrilled that you are finally doing it. I will buy it for sure! Since you asked for suggestions. The issue of my heart is sexual abuse. One in three women are sexually abused, and yet there are no LDS books that I have found about this topic...except Secrets by Blaine Yorgason and Sunny Oaks (out of print), and The Temple Experience by Wendy Ulrich PhD touches on it. I don't know if you can tie that in to women in the New Testament, but if you keep it in mind you would be helping so many! Way to go Heather! This is so exciting! I love your journey in this, that you found something that you wanted to learn more about and really studied it out. Then it became a passion for you, and look at how it has taken you along on this journey. That is really cool! I'm excited to read it someday. I'm excited for the artwork too, I'm such a visual person I like seeing pictures with stories (some things never get old). I'm so excited this is finally happening!! I actually met Mandi at Felice's retreat in Lava Hot Springs; she's a gem:) I really love learning small, historic details about the daily lives of women in the scriptures, particularly as those details shed light on the spiritual things we learn from their stories. I think the more you can flesh out what it might have felt, looked, sounded or even smelled like in their world, the easier it will be to create a strong mental image of them and connection to them. The scenery, the chores they would have done, what their home might have been like, family relationships etc. All those little details really bring them to life:) I can't wait to read it! I am so excited for you. many women when they read the bible do not understand that traditions and customs were different then. Like public displays of affection was absolutely forbidden and taboo. You did not speak first ever. It would be nice to see those things put in so people realize and feel just what exactly was going on. 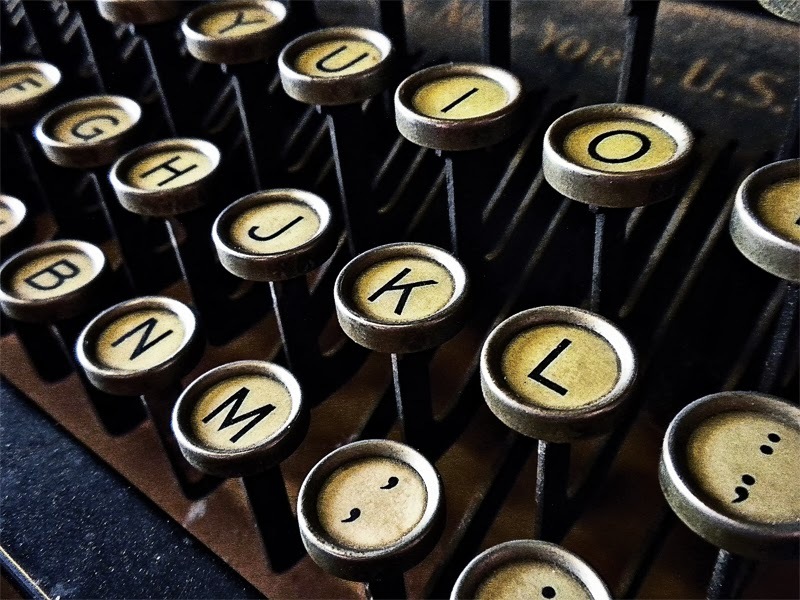 Are your plans to continue on in the style of your blog and addressing facts along with different views of symbolism or making each character come alive with historical fiction with descriptions and monologue? Cant not wait to read about your decisions. Its your book not ours please yourself first your publisher 2nd. If you build it they will come. That's exciting news, congratulations! I can't wait to read it! One of my all time favorite books is "Daughters of God" by Michael Wilcox. I look forward to your wonderful perspective. That's exciting! It sounds like it will be a great book. 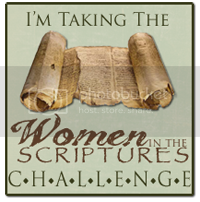 I like reading about what women in the scriptures' lives were like, and what we can learn from them for our lives today. I'm especially interested in the women that Jesus associated with. For some reason they've always really interested me. I am SO excited about this! I can't wait to get a copy, or two, of it!!! So excited. I know it will be amazing!!! And I know God will help you every step of the way. I'm excited to read it. Congrats! Heather you are so awesome! What a treasure that a publishing company approached you and not the other way around. Every time I read a post I think to myself, "I wish I had a hard copy of all this research!" And here you are answering my little prayer. :) I really appreciate the layout you use in your writing. It helps to first learn the story followed by your thoughts and speculations. I love learning the distant meanings and origins of words. Learning symbolism helps me a lot. I'm currently reading Bro. Gaskills book, "The Lost Language of Symbolism," which I found referenced here. He was one of my BYU professors and hands down my favorite. I like the women you find who are barely referenced. For instance, The Little Maid is my new favorite. I am amazed by her, how she helped save such a powerful man, and the simplicity of her faith. It also helps me remember that my whining, screaming, diaper exploding kids are amazing little people. The whole idea to "be like a little child" is something I try to remember when I have big questions. I think including the simple testimonies of all these women would be strengthening. There is a God and he loves us...even if they didn't know about Christ. Good luck, I can't wait to read it! 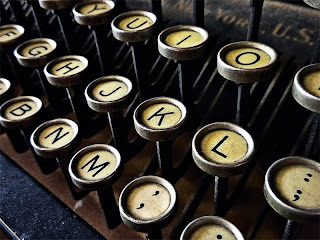 I have thought for a long, long, long, time that you should write a book! I got teary chills just now reading this. I'm so excited for you! I wanted to agree with Mama Rachel also. 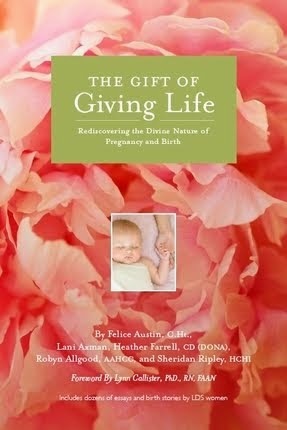 Your other book, The Gift of Giving Life, helped me so much in my last pregnancy. I specifically had a very spiritual experience prompted by something you wrote. I keep meaning to write up the whole experience and send it to you. I just want you to know that you are blessing lives! I am so excited! I have always thought that you should make your blog into a book. I love the story of Anna. I read it to my boys for family home evening, and they really liked it. It would be cool for some of the women if you did ideas for family home evening with them or questions to ask your kids about these women. Thank you so much for your time and spirit. I have gotten so much from your blog. I will be praying for you and your family. I love as you've talked about women in the scriptures on your blog that you help us to see what life was actually like for them, giving us context of cultural traditions, expectations, etc to understand why speaking out the way Esther did was so brave, for instance. I really really love Angela's idea of doing a topical index in the back so we can look up stories of women who dealt with specific issues or learned specific lessons (ie showed faith, experienced conversion, struggled with infertility, etc.) I can't wait to get a copy of your book when it's ready! I'll be praying for you as you plan and write! I know it's a big job to undertake! Heather, I have been following your posts for about six months. I found you on facebook when your article on "help meet" and Eve was posted by a friend. I was fascinated and had to read more. Your writing is so empowering. The more of your enlightening research I read, the stronger I feel as a woman. You touch my heart and give me strength in understanding my role as a woman better. You have a rare and wonderful gift. You cause your readers to think hard about your subjects by offering thought provoking questions and insightful sidebars of information that shed new light; clarify hard to understand concepts; explain word meanings and expand the ideas presented in the scriptures with amazing facts. 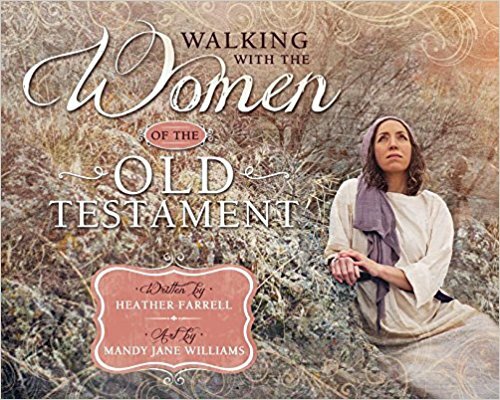 You have a brilliant way of drawing your readers into the very lives of the Women in the Scriptures. What an awesome gift. I am over 60 years old and read all the time. And, I can honestly say no one has caused me to think harder or understand more of the subject matter than you. I can't say thank you enough. Knowing you are putting your knowledge into a book format is exciting news and I look forward to your final product. You have my support, encouragement and excitement for your project. You have the talent and a remarkable way to present the facts. Just know you are encircled by a dedicated base of fans who eagerly await your project and offer you positive energy on this journey of writing. I know God will help guide you in finding the interesting and clarifying facts you are so good at sharing with your readers.